Wordpress runs 28% of the world’s websites. And most people we talk to on a regular basis can’t remember the last time they updated their software. This combination is a recipe for disaster. You may ask yourself why ANYONE would want to hack your site. Here’s the thing: they probably don’t (unless it’s a bored teenager, but we’re going to assume it’s not). 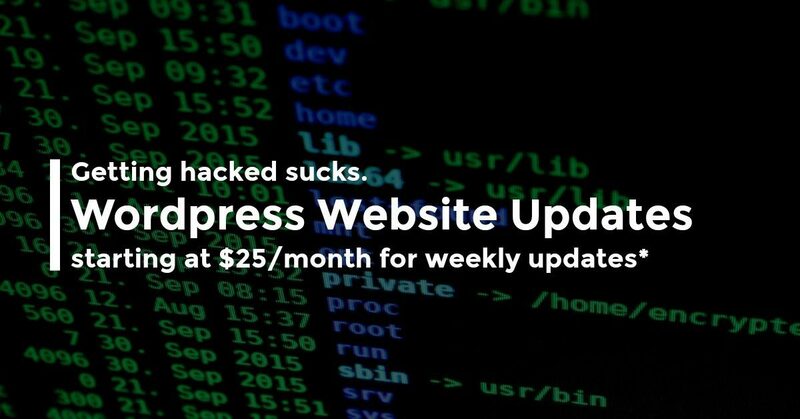 Most hackers are looking for access to your website’s server, which they get by hacking your individual website. Most people have “shared” web hosting, meaning the web host works like an apartment building where people are just using the little bit of space they need, but share the larger structure with others within that hosting company. Let’s say someone leaves their window unlocked… and a burglar gets in. Now that the burglar is in your apartment building, it is easier for them to get into the other apartments in the building, or even conduct illegal activity from your apartment. Makes you want to double check your windows, right? What is the best way to not get hacked? Keep your software up to date. It’s a preventative measure that makes it more difficult for people to get into your site (think of it as regularly changing the locks on your door). Your security, and the security of the building itself, is now that much stronger. That being said, it is ONE MORE thing to do. You’re already running around trying to find car keys and get out the door on time, so chances are you won’t always remember to double check that all the windows are locked. Why not let someone you trust do it? I have other stuff I want to change on our site, too. 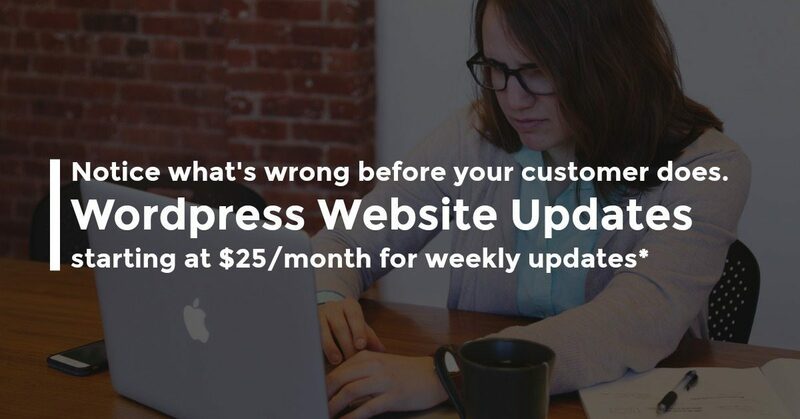 Having someone else regularly looking at your site means they can notice things that could use an update, like your weekly specials actually haven’t been updated in six months, or you have new properties for sale. We have a secondary package that reserves a certain amount of our time a month to make these updates. If you don’t have regular updates, we’ll use the time to make improvements to the website over time, for both search engines and the people visiting your website.